Making Good Shape problem 133 has the question "How can Black make the White stones heavy". 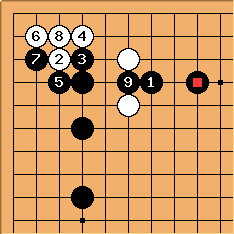 My inner kyu level player says Black should kick at a. The book by Rob van Zeijst has this solution diagram. Seems to me that the corners/side is still invadable in either diagram. The kick (a in the first diagram) is often used to make the opponents stones heavy. 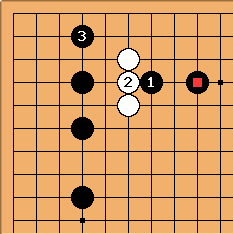 With the marked Black stone in place, this seems particularly effective, White is denied the common extension to in the following diagram. So why not kick? Andy: Indeed. What is white trying to accomplish with here? 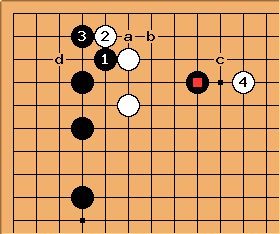 Presumably and are attackable due to considerations of the board not shown in the diagram and the white stones have sufficient support from the center such that their life is not a concern. 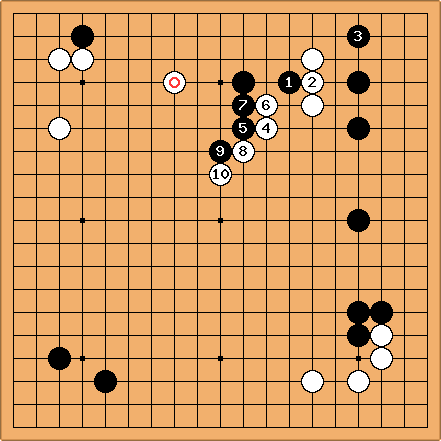 Then white can use them in support of an invasion under the black stones on the left side. Otherwise, this doesn't seem playable for white and is just wishful thinking on black's part. If and are not attackable, then it isn't much of a loss for white to let them connect to black's stones on the left side so white might as well enter the corner directly rather than connecting the peep. Dieter: Let's have a look at the corner invasion as an answer to Black's peep. I assume this is best for both. Since is labeled as a genuine threat, must be big. In any case, Black's connection is strong and big. 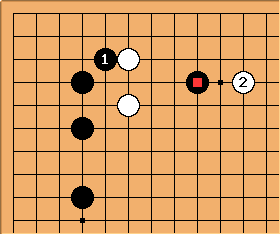 I think that here, White can play elsewhere or even check Black's marked stone with . The threat of is not so big. Alex: White could also exchange for . 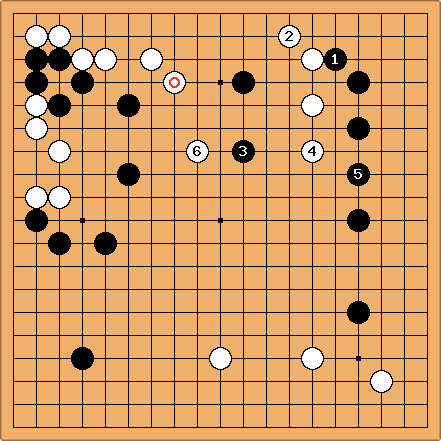 It loses the chance to invade san-san, but is sente and reduces the danger of Black a. 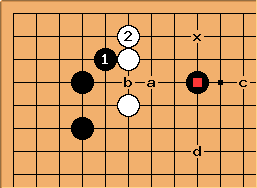 Later, W b may be sente, since it threatens to connect with c. It also creates aji at d. Also important is the fact that White has a potential eye on the edge, whereas in the solution diagram, White has no eyeshape at all. Bill: My inclination, as White, would be to hane, also. One thing to remember is that in this diagram is a light response to . If is already there, this is a disincentive to play . Better to simply protect the corner. And if Black is going to do that, better to make White heavy first. Charles Matthews Not so simple at all. There are plenty of pro games in which , are seen. Often this is when White has a stone at or around c. In those cases Black's follow-up can be at d. That is, Black is trying to play lightly here. Obviously a pro avoids the Black a/White b exchange if it later would look 'from the wrong side'. Here White at or near x might help connect. 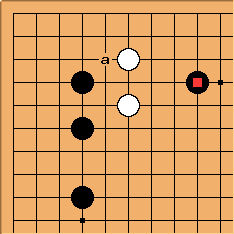 Black will not mind that, if White x is passive, relative to the whole board position. Bill: Yes, you have to play the whole board. It would be interesting to compare the conditions under which the peek is preferred and the conditions under which the diagonal attachment is preferred. this one, from 1973, where Black played the peep. 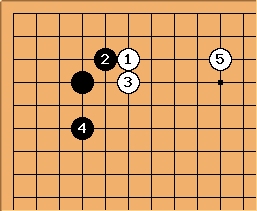 In both White has played the hasami-kaeshi? at .